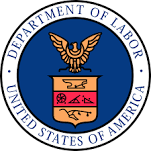 On March 7, 2019, the US Department of Labor issued its proposed new exemption rule under the Fair Labor Standards Act (FLSA), raising the minimum salary from $23,660 annually (or $455 per work week) to $35,308 annually (or $679 per work week). Under the proposed new exemption rule, employees earning a fixed salary under $35,308 annually must be paid overtime (at a rate of time and a half) for hours worked in excess of 40 each week. Above this salary level, eligibility for overtime varies based on job duties (e.g., executive, administrative or professional in nature). The new exemption rule is likely to take effect in 2020. For the time being, $23,660 is still the threshold. Salary thresholds for overtime under the New York Labor Law were increased in late 2016 and vary depending on geographic location and employer size. In Nassau and Suffolk County, for example, the current salary threshold is $900 per work week ($46,800 annually). In New York City, the current salary threshold is $1,125 per work week ($58,500 annually) for employers with 11 or more employees, and $1,012.50 per work week ($52,650 annually) for employers with 10 or fewer employees. Where there is a difference between federal and New York law, the law that is more favorable to the employee pre-empts the other one.